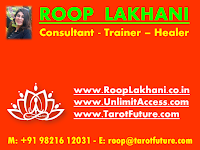 If there’s one thing we all have in common it’s that we want to feel happy; wr want to be loved and on the other side of that coin, we want to avoid hurting, we want to avoid disapproval. Yet we consistently put ourselves in situations that set us up for pain. We don't want to be egoistic, get triggered and get reactive, and hurt people but still it keeps happening on auto pilot mode. This creates spiralling karmic negative accounts and does not support for happy joyful living. Where do we let the frustration and how? 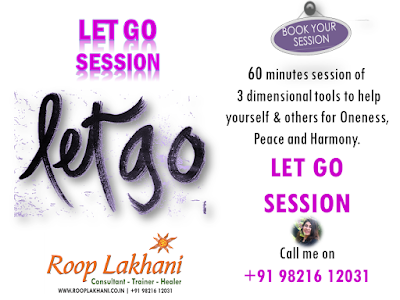 How do we remove guilty and feel free? How do we let sadness go away to feel great? Do you wish to know how? Know 3 dimensional tools to help yourself and others for Oneness, peace and harmony. 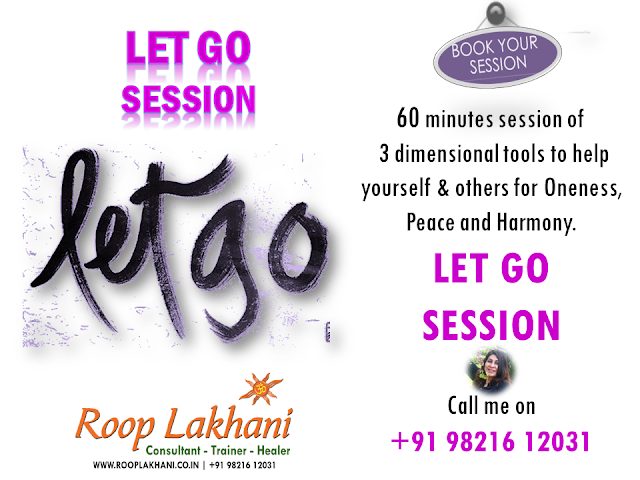 CALL ME ON 98216 12031 TO BOOK YOUR 60 MIN SESSION OF "LET GO"